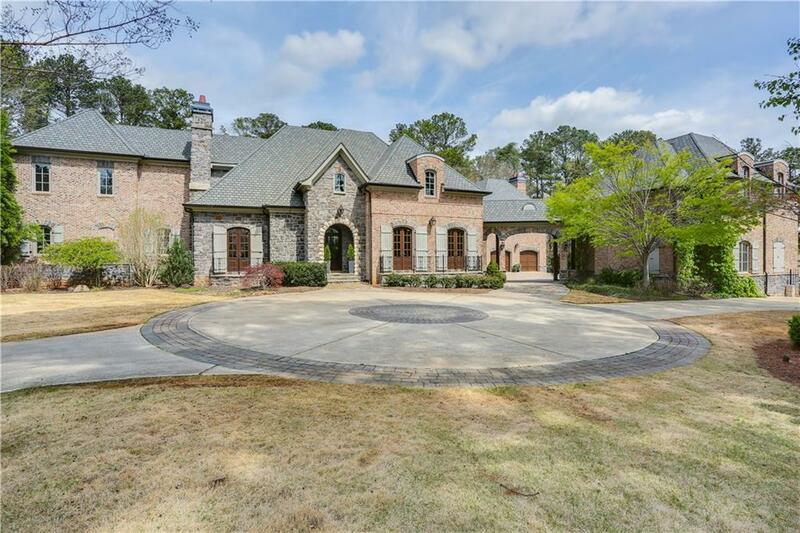 JAW DROPPING EUROPEAN ESTATE IN THE HEART OF CRABAPPLE AND ALPHARETTA! Don’t miss your chance to own this one of a kind gem with all the bells and whistles steps from all the action. Just 1/2 mile from Downtown Crabapple and just over a mile to Downtown Alpharetta. Wow Features include 4 BD 6.5 BA, Hand milled moldings, custom cabinets, commercial grade applcs, heart of pine floors, stone floors and countertops in bathrooms, elevator, in-ground heated swimming pool, outdoor grilling, 6 fireplaces, in home gym, and 8 car parking garage all on a 2 plus acre gated estate. Directions: Hwy 9- North Main Street To Left On Mayfield Road Home Is Just Past Bethany Road On The Right.